I would say I had a great experience working with them. They showed up at the time they promised, and they knew how to do the job properly. It's nice to know that they stand behind the work that they do. I've recommended them to a couple of my friends. I liked the owner. He was customer oriented and caring. It seemed like he cared about the work he was doing. He was always very polite, friendly, and respectful while at our home. They're very professional and thorough. I think they're an excellent company to do business with. Everyone I dealt with was just fantastic. I'm happy they fixed my roof. It was leaking pretty bad, and nothing I did seemed to work. 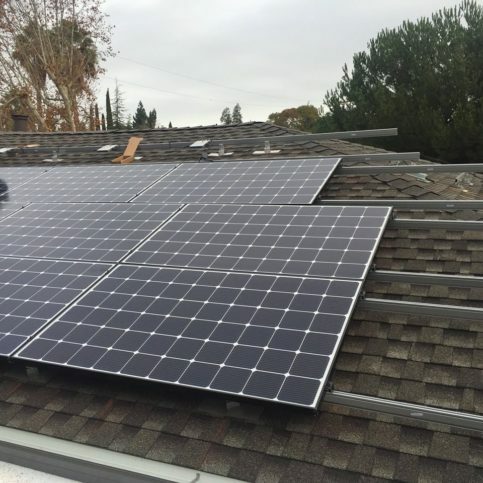 Bay Valley Contractors, Inc. specializes in roofing and gutters, installs solar power systems, builds home additions, and remodels kitchens and bathrooms for homeowners throughout Contra Costa, Alameda, and Solano Counties. 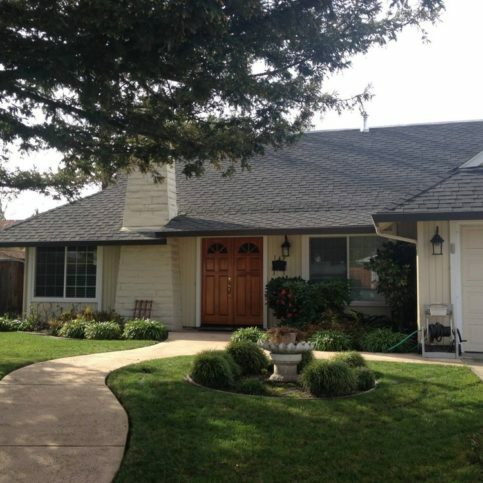 As a Master Elite installer of GAF roofing products, the family-owned and operated company is qualified to work on a wide variety of roof types, including metal, slate, composition and three-tab shingle. DIAMOND CERTIFIED RESEARCHED CAPABILITIES ON Bay Valley Contractors, Inc.
Company Name: Bay Valley Contractors, Inc.
DIAMOND CERTIFIED RESEARCHED ARTICLES ON Bay Valley Contractors, Inc.
Bay Valley Contractors has been installing roofs and solar power systems, building home additions, and remodeling kitchens and bathrooms for homeowners in Solano, Contra Costa and Alameda Counties since 1989. As a certified installer of GAF roofing products, the family-owned and operated company is qualified to work on a wide variety of roof types, including metal, slate and three-tab shingle. Durable. Metal roofs stand up to heat, cold, rain, wind, hail, rust and damage. If they become damaged, they’re relatively easy to repair. Lightweight. 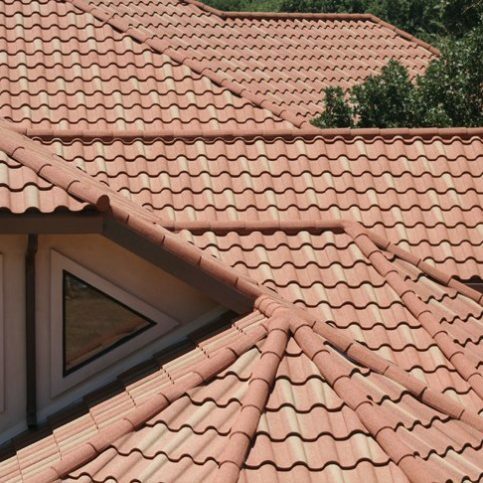 Composition roofing weighs about three to four pounds per square foot, and cement tile can weigh up to 10 pounds per square foot. On the other hand, a high-quality steel roof weighs only one-and-a-half pounds per square foot. Quiet. Modern steel roofs aren’t the same as tin roofs. Built with an added air space between the roof deck and the new roof, metal roofs actually dull most sounds. Insulating. Metal roofs have air pockets that allow air to flow under the metal panels, which decreases temperature and insulates homes. They also cool down faster than composite or concrete roofs, so less heat seeps into homes. Some steel roofing contractors will even install systems over existing roofs, such as wood shake roofing. Long-lasting. Most steel roofs last for 80 to 100 years, while composition roofs only have a lifespan of 15 to 20 years. Variety of styles and colors. The newest generations of steel roofing can be aesthetically pleasing on any style of home. New styles and colors are always being introduced into the market, and your contractor can help you find the best match. Green. Many manufacturers are using 30 to 50 percent recycled steel in their metal roofing products. Traditional composite roofs can’t be recycled, and neither can most wood shake roofing. Guarantees. Most other types of roofs come with limited warranties, but many metal roofing companies offer extended warranties of 50 years or more. Some are even covered by transferrable lifetime warranties. Q: Do you offer competitive rates? A: Yes, but we’re rarely the lowest bidder because we refuse to compromise on quality. We give fair prices for the work we do, and that’s what matters most to our customers. A: It depends on the type of work. When it comes to roofing, we can typically start in about one week. For a building project, it’s a matter of scheduling a time to bring in the draftsperson and start the design process. Once they do the measurements, we can usually have a floor plan ready within two weeks. After you sign off on the plans, we can move on to the next phase. A: Most jobs take four to five weeks to complete, allowing for inspections and possible delays. But we always finish ahead of schedule. For instance, we can remodel a three-wall, 400-square-foot family room in three weeks, and that type of work entails framing, roofing, siding and windows. Q: How do your 101, 201 and 301 systems work? A: These numbers represent different levels of plan comprehensiveness. The 101 package includes the plans, permits, foundation framework, roof gutters, siding, windows, rough electrical and any mechanical work, but it leaves some of the non-structural work (insulation, sheet rock, wood trim, doors, interior finishes, painting and floor coverings) for the homeowner to complete under our direction. This package enables capable homeowners to get some hands-on involvement with their projects and save a substantial amount of money. With the 201 package, we do a little more of the work, including the sheet rock and insulation. Typically, we’ll leave the painting, floor covering and trim work to the homeowner—it’s lighter work, but it still lets them be involved and save some money. For those who want us to handle the job from start to finish, we offer the 301 package. The homeowner picks out the colors and finishes and approves the plans; we do the rest. 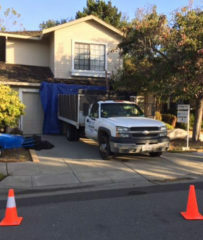 SELECTED PHOTOS FROM Bay Valley Contractors, Inc.
Ryan Diaz is a second-generation roofing professional and vice president of Bay Valley Contractors, Inc., a Diamond Certified company since 2012. He can be reached at (925) 726-3792. A: I Love Teriyaki & Sushi in Concord. A: London. I’ve always been fascinated by British culture. A: A Power Ranger. That was the big show when I was growing up. A: Chocolate lava cake a la mode. The term “roofing system” refers collectively to the various elements that make up a modern roof, from shingles and underlayment to leak barriers and ventilation. By working together, these elements form a “system” that helps ensure long-term durability. Since roofing systems substantially increase roof lifespan, manufacturers are able to offer extended warranties on roofs built in accordance with their system-based specifications. So, if you’re in need of a new roof, ask your contractor about the benefits of a roofing system. 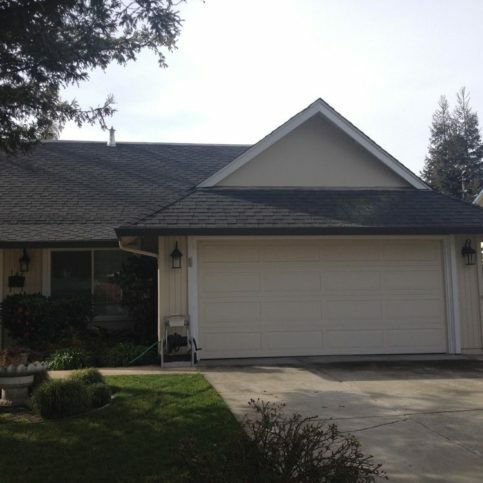 NOVATO — Host, Sarah Rutan: Roofing technology has come a long way in the last 30 years, which is why today’s manufacturers are able to offer better warranties than ever before. Today we’re in Concord with Diamond Certified Expert Contributor Ryan Diaz of Bay Valley Contractors to learn more. Diamond Certified Expert Contributor, Ryan Diaz: So, 30 years ago roofs were comprised really of just, you know, a 30-pound felt underlayment and a shingle. And that was what made the roof. And today these manufacturers have really dove into research and development for these to create whole systems that will really get the lifespan of 50 years out of these shingles. They really work on the leak barrier, roof deck protection, what kind of shingle, proper ventilation. All these things kind of form into a roofing system. And that’s really what a lot of manufacturers are able to offer, these good warranties on their products now. Diamond Certified RATINGS ON Bay Valley Contractors, Inc.
Bay Valley Contractors, Inc. : Average 9.1 out of 10 based on 160 unique customer surveys of customer satisfaction. Out of the estimates I got, they were the highest, but they really understood what I needed. The other estimates did not get up on the roof. Bay Valley went up on the roof and then explained carefully what was needed. They were very professional, and the job was done in three days like they said it would be. They did the job quickly, but they did it very, very well. My husband watched them for the entire process. Very reliable, and they did a great job. They did exactly what they said they would do, reliable. They are very responsive. They got back to me quickly when the other companies did not. They did a great job. From the very beginning, they were super friendly and kept me informed about everything. They were extremely easy to work with. They were professional, and they worked with me on the price. They addressed any problems that came up. Very professional, and they did a good job at a fair price. Very good, reliable, on time, and they cleaned up. The fact that they showed up, I called about 20 different roofing companies. The customer service is excellent. They are the best. They answer the phone and respond. We have used them twice. The first was replacing our roof. The foreman was on the jobsite every day. The second job was two years later for gutters. There was someone always on site. They are a little pricier, but for the customer service you get, it is great. They are a good company. They are a little pricey but really good. The estimate was detailed, and they answered all of our questions. They were very professional and competent. The person that came out did not come across as a salesperson. He really understood and was knowledgeable. If you need your roof done, you should get them to do it. We had a problem with the roof over our garage. They reinforced the roof and fixed the three-inch sag that was in it. They did a great job. They are quality experts, and will answer any questions. They offer suggestions if you are not sure about specific things and addition to that. They worked hard to get the deadline I was under. Nothing stands out the most, its a whole package, everything stood out. I guess those things I just mentioned. They were very helpful. We weren't sure what the problem was when we called them, but they identified it, and it ended up being smaller than we thought. I would say just what I said before. I would say they are very reliable, and they stand behind their products and customer service. I would say the follow-up stood out for me.